Two DP70 from the Uptown Cinema in Washington (DC). Closed in 1994. 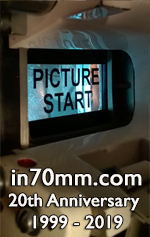 Both projectors now reside in the Crown Harbour 9 theatre in Annapolis, MD. I regret to inform you of the passing of the DP70s that used to reside at the (Bowtie) Annapolis Harbour 9 have passed away (thrown in the dumpster). I have this from a reliable source though I have not verified it. 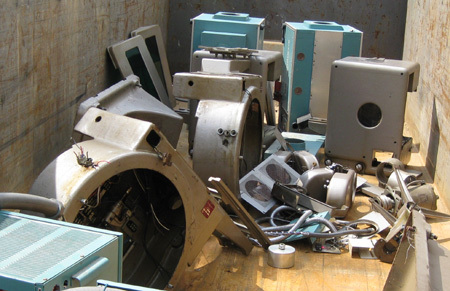 These are the machines that started life in the Uptown Theatre in Washington, DC...moved the K-B Cinema 7 before finishing their service at the Harbour 9. I don’t know which digital projector replaced them but that was the cause of their demise. Before being pulled from service, 1960 was being used for film, and 1967 was being used for parts. 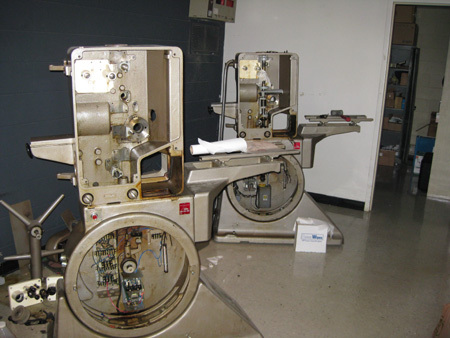 The theater chain has donated the machines to the Academy of Motion Picture Arts and Sciences. But because shipping the entire machine is cost prohibitive, they are being parted out so that other machines can continue to be in service for many years to come. I found this old ad from Strong Electric hyping the Futura II. The picture was taken at the demolished Vienna Theater in Vienna, VA around 1965. 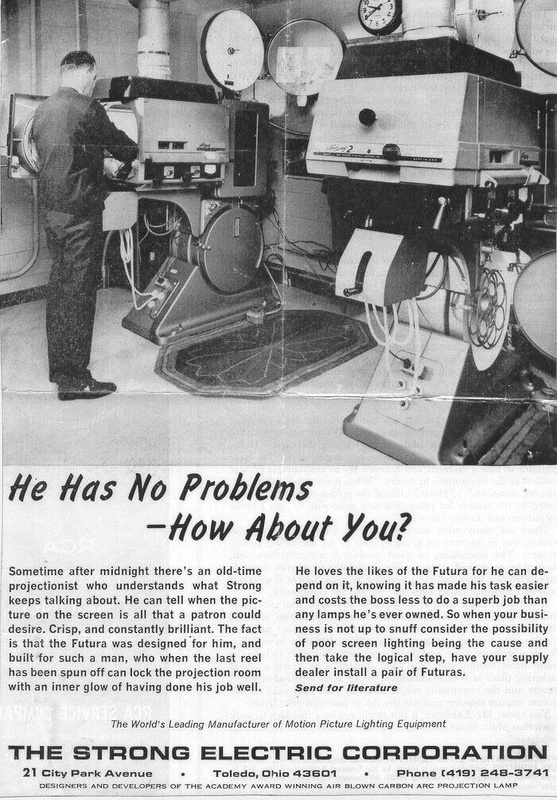 The projectionist was the late Hugh Rodgers. I ran those DP70s many times back in the day. To my recollection they never ran 70mm there. What eventually happened to them is anyone’s guess.